Producers can use Chore-Time’s Volution Rearing System to systematically train pullets from day one for eventual successful housing in a cage-free layer operation. 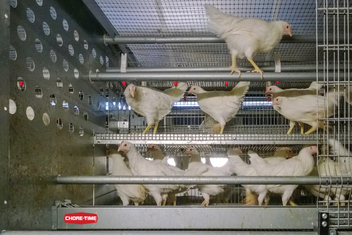 MILFORD, Indiana, U.S.A. — Chore-Time (www.choretime.com) now offers the Volution Rearing System as part of its acquisition of the Volito Group, a Netherlands-based designer and manufacturer of cage-free egg production systems. The Volution System boasts lower labor needs than competitive systems, as well as a proven design for optimally and systematically preparing pullets for life in aviary or floor layer systems. The Volution Rearing System is a two-tier system that caters to natural bird behavior by training pullets to jump, move around and perch from day one. As a result, the birds are more likely to live a longer, healthier and more productive life when transitioned to cage-free production. To help train the pullets, the Volution System features adjustable-height platforms and drinking lines inside the system that are gradually raised as the pullets grow. Automatically extendable perches help birds access the upper tier, and movable interior perches help birds easily jump to outer perches. The layout of the Volution System is also designed to provide excellent visibility for easy inspection. To further reduce labor needs, double sliding doors allow workers to quickly reach birds for vaccination or other purposes. As the pullets grow, the sliding doors are opened to let the pullets use the floor surface between the rows. The pullets can easily find their way back into the system at night. The Volution System’s foldable wire mesh fences are used initially to close off the area underneath the rows, but eventually, the fences are opened to allow the birds to have full access to the entire surface of the house, including underneath the system rows. Other features of the Volution Rearing System include partitions in the length and width inside the system, as well as feeding and drinking lines on every level. The systems can be configured in one or multiple rows. Chore-Time continues its tradition established in 1952 of leadership in the design, manufacture and marketing of equipment for poultry and egg production. 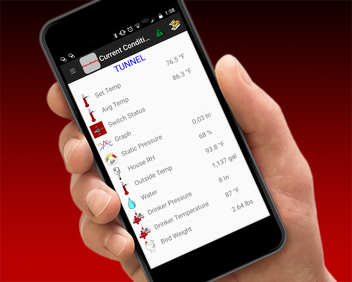 With complete end-to-end systems for feeding, feed handling, drinking, egg handling, climate control and house management, Chore-Time is a market leader known for product performance, tailored solutions and a proven independent distribution network. Part of the CTB, Inc. family of companies, Chore-Time operates globally from facilities in Indiana, Alabama, the Netherlands and Poland.